I have unceasingly professed that Baguio City, for me, is home, and witnessing and experiencing Panagbenga for the first time was one of the best things that came true this year. I must say it was dynamic and enthralling one. I have known Baguio to be a quiet city where I literally enjoyed a walk in the park, enjoyed foggy afternoons and drizzles and smell the flowers after school and work. It was "nice" seeing Baguio in a festive mood. It was the second time I have seen Baguio with so many people gathering for one big event. The first time was the now-defunct Entako men lambak or otherwise known as the Gran Cordillera Festival that was held in 1991. It was the first time that all the tribes of the Cordillera even the neighboring indigenous peoples of La Union, Ilocos and Abra converged in Melvin Jones football grounds where a Grand Cañao was held and where 3 or more large pigs were butchered and jars of tapey were shared among the participants and spectators like me. It was my first time to taste tapey and it felt good being offered by the Igorots. It felt like I was one with and among them. Entako men lambak's (or Come, let's celebrate!) 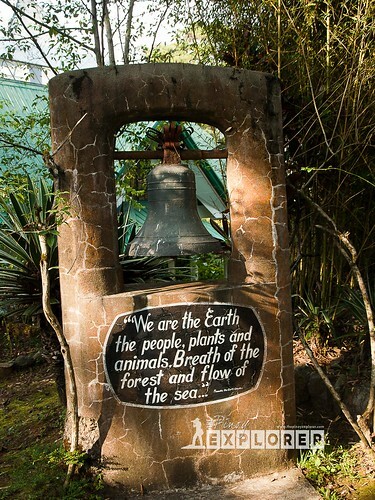 goal then was to unite all the indigenous peoples of the Cordillera after the July 16, 1990 earthquake. It was a move to bring back the spirit of the Cordillera people after the temblor that brought Baguio City to its knees and succumb to the wrath of nature. 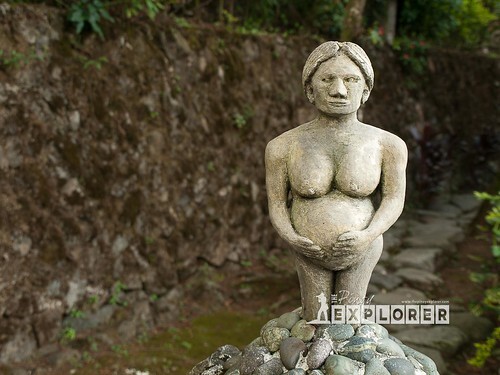 Entako men lambak was not a just a celebration or a festival, but a spiritual journey of sorts as the Cordillera people reflected and examined their precious relationship with their culture and the ecosystem they live in. Panagbenga or "blossoming" [of a flower] has a similar intent. It was laudable, but I think it has gone out of proportions. I heard that over the years, it has become too commercialized, crowded, noisy, dirty, chaotic and unmanageable. 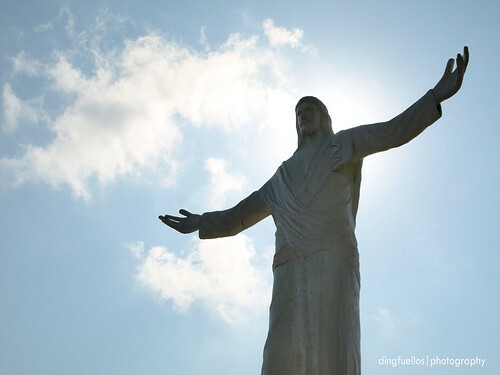 I would say, it has gone too far that it seems to have lost that connection why Panagbenga came into existence--to bring back the spirit after the killer quake in 1990. Do not get me wrong. I love Panagbenga for it brings out the best of Baguio and Benguet, as a whole. While the festivities lift the spirit of every spectator, I think something has gone "wrong" somewhere. This brought me to reflect upon the ecological issues that plague Baguio City at the present--garbage, traffic, and too much commercialism. A festival is not bad as long as it celebrates the very crux why it has come into existence. I hope Baguio people would again reflect and ask: "Is the crowd, heavy traffic, pollution and noise worth the money earned by the city during this festival"? Not being used to a noisy and crowded Baguio City, it was a decisive moment to move away far from the madding Panagbenga crowd and heavy traffic. 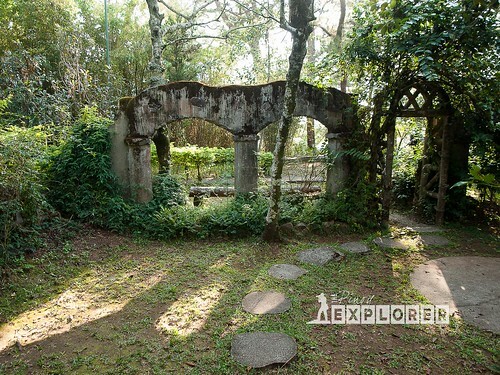 And I found peace and solace in Maryknoll Ecological Sanctuary in Campo Sioco. 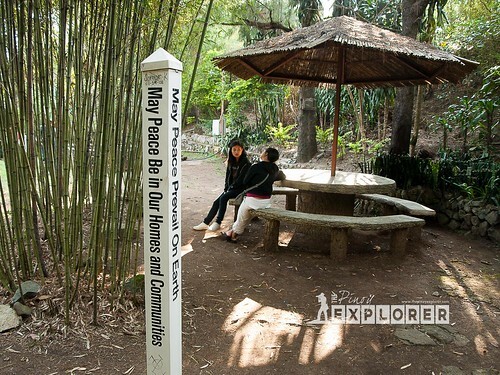 Taking a leisurely stroll inside the Sanctuary made me appreciate Baguio's Panagbenga better. After all, Panagbenga is supposed to make one be in touch with and celebrate the wonders of nature and Baguio's blossoming after the earthquake. 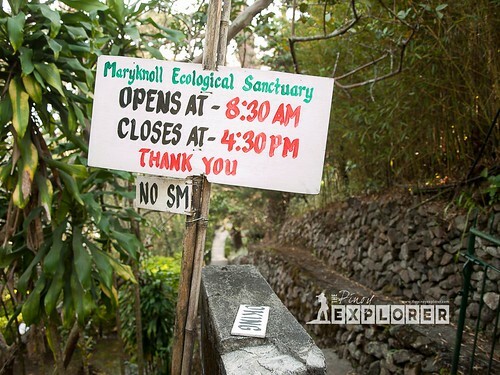 Maryknoll Ecological Sanctuary came into life after the earthquake, which was aimed at examining our cosmic existence with nature and spirituality. In contrast to the downtown scene, the ecological sanctuary, save for a few teenage boys and girls, is almost deserted--where one can find some quiet time away from the excitement and pandemonium. 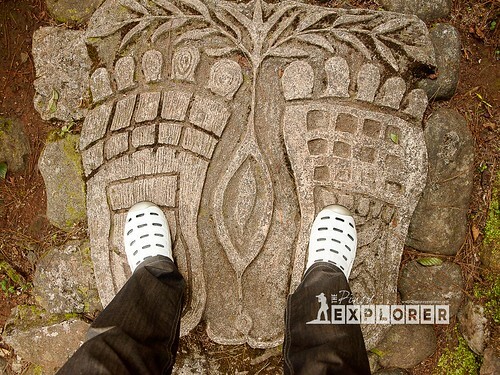 Interesting work of art--gender and nature? 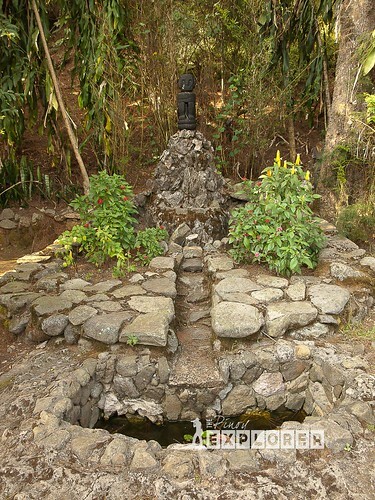 The Sanctuary not only makes one enjoy nature. It also educates visitors to reflect on some key or important reminders of our existence on this planet. 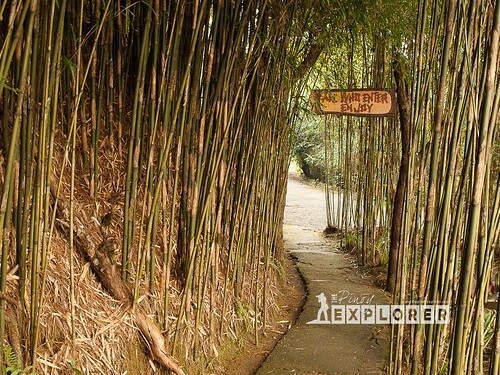 It features a nature trek lined up with bamboo, pine trees, and flowering plants. 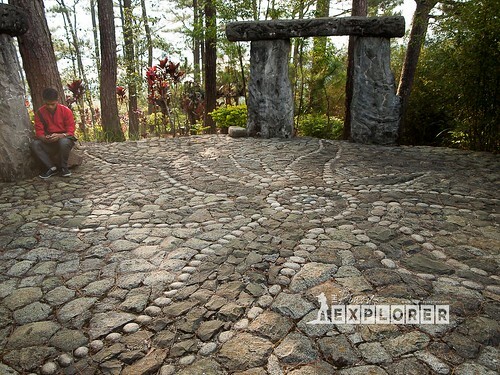 It also presents indigenous symbols like the Ifugao's Bulul (god of bounty) and dinumog (fertility), the peace pole, a replica of the ancient henges, the Tabon cave, Sagada's hanging coffins, and world religions. Likewise, it offers some bits of information on the evolution of nature and man and the growth of villages and communities. 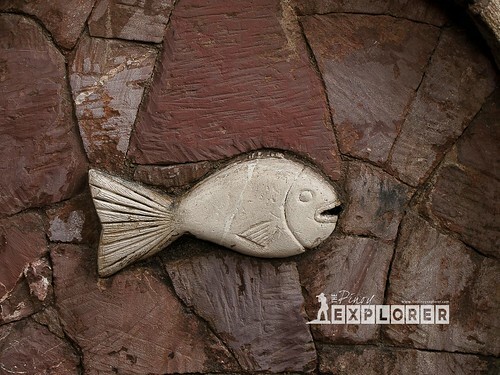 At the end of the trek, we enjoyed their freshly brewed coffee and the exhibits at their gallery. The winding paths are not difficult. It was designed in a way that allows a person to venture into his thoughts, ponder about one's existence while enjoying the breeze and quiet moment. I would say, we were better off with other Panagbenga visitors as we did not have to scamper for a ride, make our way amid the sea of people, and get annoyed by the heavy traffic--and these photos will not tell a lie. Three initiatives. One common goal. One went pfft! One gone awry. One got unnoticed. Baguio people must reflect and decide now and determine and choose for themselves what is good for them at present and for the generations to come. 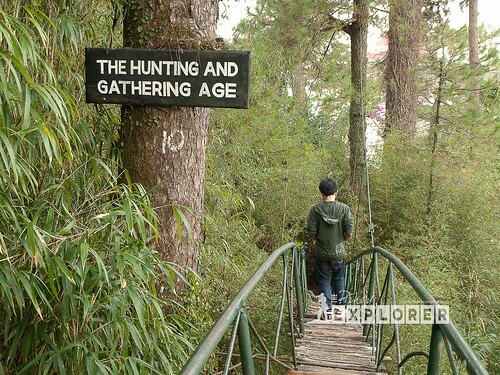 Baguio ecosystem's carrying capacity is only up to so much. Nature will vomit anything in excess. 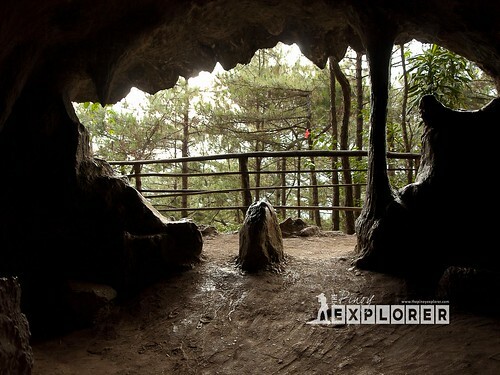 I love Baguio City, and it hurts me see lose its relationship with nature. If Panagbenga will continue to be as or more chaotic as it is now, it might lose its charm and drive away people who only want to enjoy Baguio City's cool breeze and its flowers in bloom.